FMDump is a time saving FileMaker Script that converts FileMaker Tables to MySQL Dump files. When converting FileMaker solutions to Xanadu Xojo Web Apps, we needed the ability to easily convert FileMaker data into MySQL. 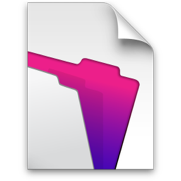 Take a look at the example database based on the FileMaker Starter Solutions Contacts file below. Several text fields that have short bits of text like Name, while the Notes field stores much more text. The Age number field is an integer. The Paid number field holds a decimal. There is also a Date, Timestamp, and Time field. FMDump doesn't support Containers. FMDump is a bit smart too. Below you can see the MySQL CREATE TABLE statement. FMDump takes a look a the data and guesses what type of MySQL column should be used based on the value of the FileMaker data. Text fields: In the script get the longest length text value for each column. If it's less than 255 characters, we make it a VarChar( 255), otherwise it's Text. Technically, we also have a buffer of 50, so fields with text more than 205 characters become Text.This is customizable in the script. Number fields: Age is an BigInt since we don't have any values with decimals. Try entering an Age like 36.5 then export the SQL Dump file and it'll change to a Decimal. Dollars Paid is money with two decimals which makes it a Decimal. 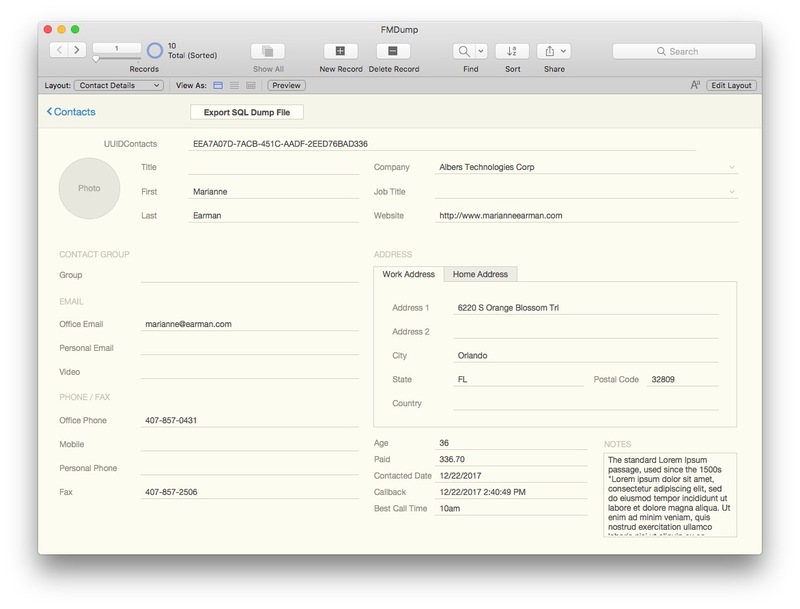 Date, Timestamp, and Time field columns can be seen below, but those match closer to FileMaker field types. Below you can see one of the MySQL CREATE TABLE statements. Text fields: All returns are converted into Line Feeds. All single quests are escaped. Number fields: Numbers are Filtered to only allow digits, periods, plus, and minus characters. Date, Timestamp, and Time fields are massaged into SQL formats. Sign up for our Newsletter at the top of this page for news and updates to FMDump. 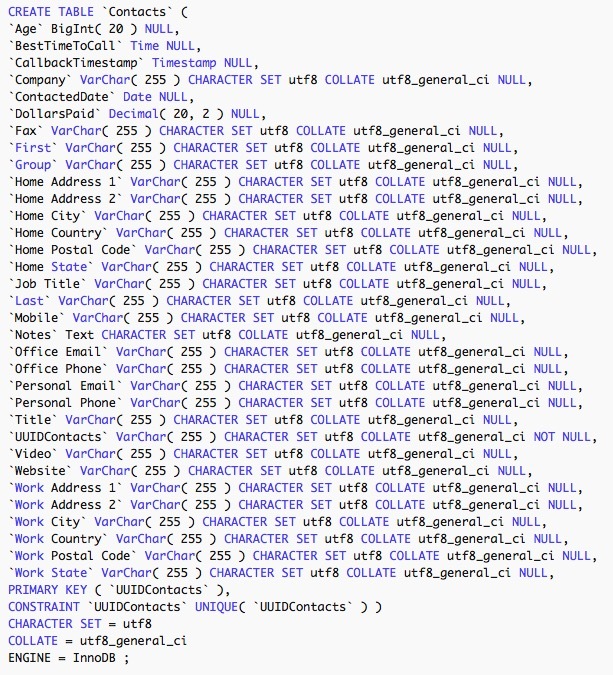 Q: What FileMaker field types will FMDump add to the MySQL Dump file? A: Normal fields are exported, except for Containers. Text, Number, Date, Timestamp, and Time are included.